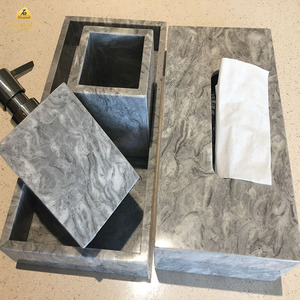 ,Ltd is a Leading manufacturer specialized in producing stone (slate/marble /granite/sandstone) bathroom accessories and household items. 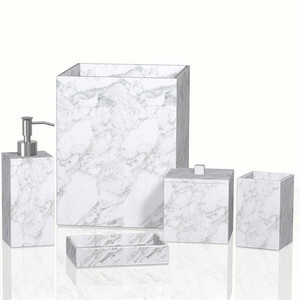 ,Ltd designs and produces high quality, competitive price and various designs stone bathroom accessories . ,Ltd located in Yi County, Baoding City, around 2 hours&rsquo; drive from Beijing International airport. 5. Laser Etching Your Photos on Stone. (Black granite provide the best contrast for etchings. ) 6. Engraving Your Photos on Stone. 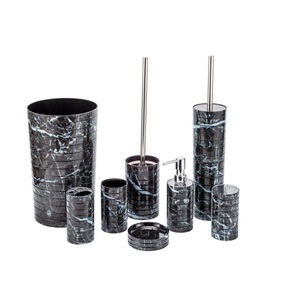 3 YRS Shenzhen Sunzen Science Co., Ltd.
Black Marble Bath Ware Bathroom Accessories Set Size can be customized marble bathroom accessories set. 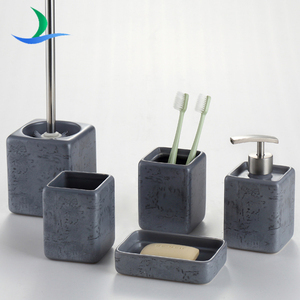 LOGO or Print Pattern & Carved Pattern can be customized marble bathroom accessories set. 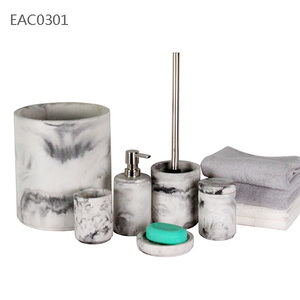 Packing can be customized marble bathroom accessories set. 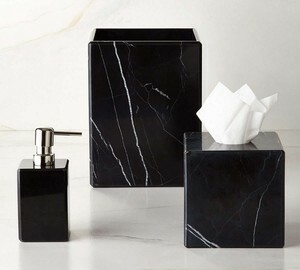 Hotel luxury resin bathroom accessories. 2 YRS Dongguan Bst Arts And Crafts Co., Ltd.
Q:What is the material of your products9 A:We have many kind of of material, like procelain, bone china, new bone china and so on for your choice. Q:Do you have your own R&D team 9 A:Yes, we have a R&D team which keeps on designing and producing latest samples. Q: How does your factory do regarding quality control9 A: We pay high attention to quality inspection, we have professional QC system. 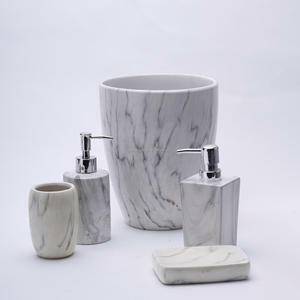 Alibaba.com offers 438 marble bath accessories products. About 57% of these are bathroom sets, 1% are bath hardware sets. 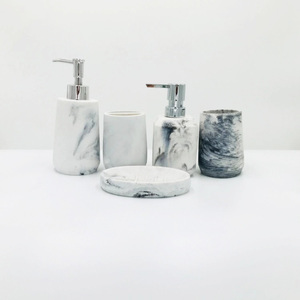 A wide variety of marble bath accessories options are available to you, such as plastic, ceramic, and metal. You can also choose from free samples, paid samples. 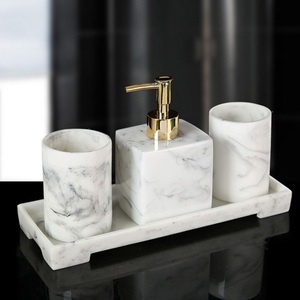 There are 438 marble bath accessories suppliers, mainly located in Asia. The top supplying country is China (Mainland), which supply 100% of marble bath accessories respectively. 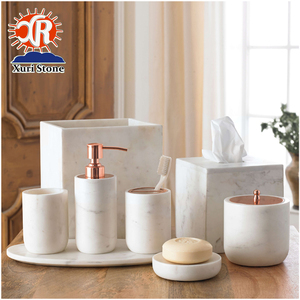 Marble bath accessories products are most popular in North America, Western Europe, and Mid East. You can ensure product safety by selecting from certified suppliers, including 68 with ISO9001, 56 with Other, and 34 with BSCI certification.